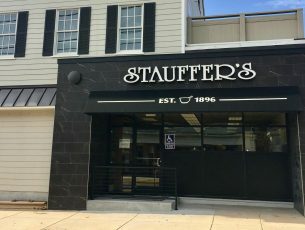 Store-Front Awnings | Kreider's Canvas Service, Inc.
IMPACT! 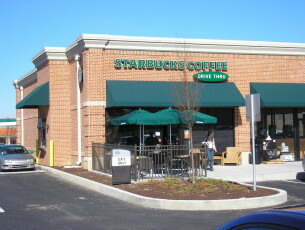 Have it with an awning. 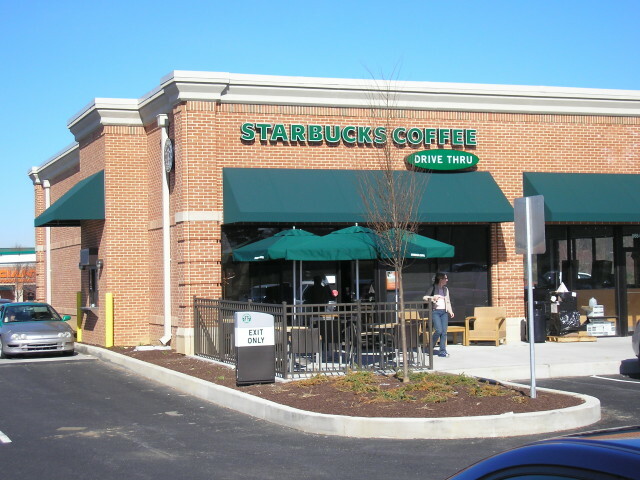 The advantages of our awnings are clear…liven up a dull store front with a splash of color and dimension. Select fabrics and shapes that are warm and inviting. Light up entranceways. Protection from rain, snow, sun, and ice! Display name and logo. Custom frame colors are available. Professionally powder coated for a smooth, long lasting finish! Black Sunbrella fabric awning with lettering installed across a store front. 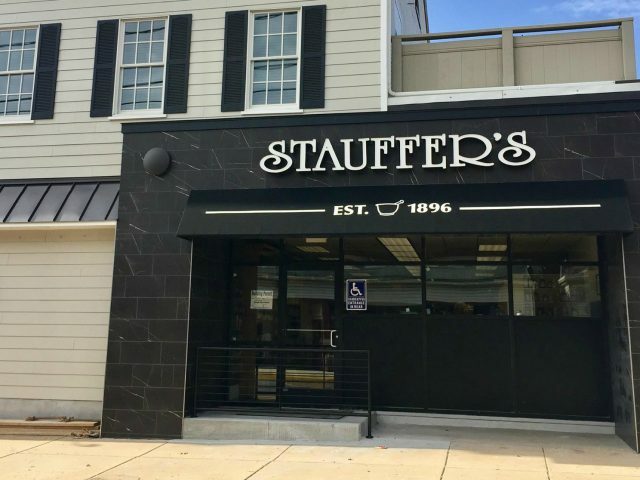 Click here to view Stauffer’s Drug Store awning in Google Street View! 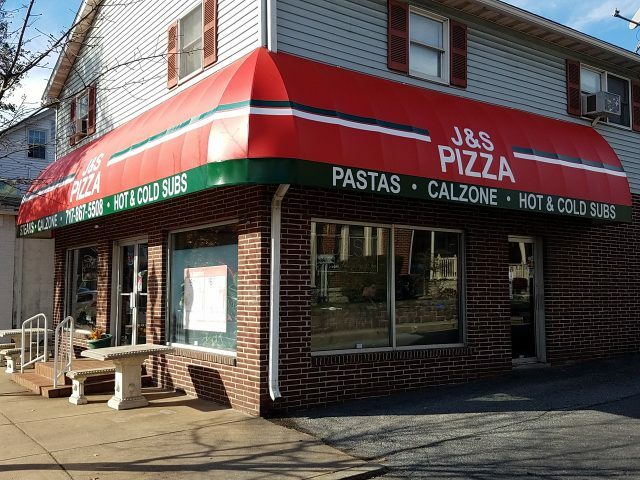 Kreider’s removed and re-canvased this existing wraparound facade awning at J&S Pizza in Annville. All lettering and stripes were inked on by hand. 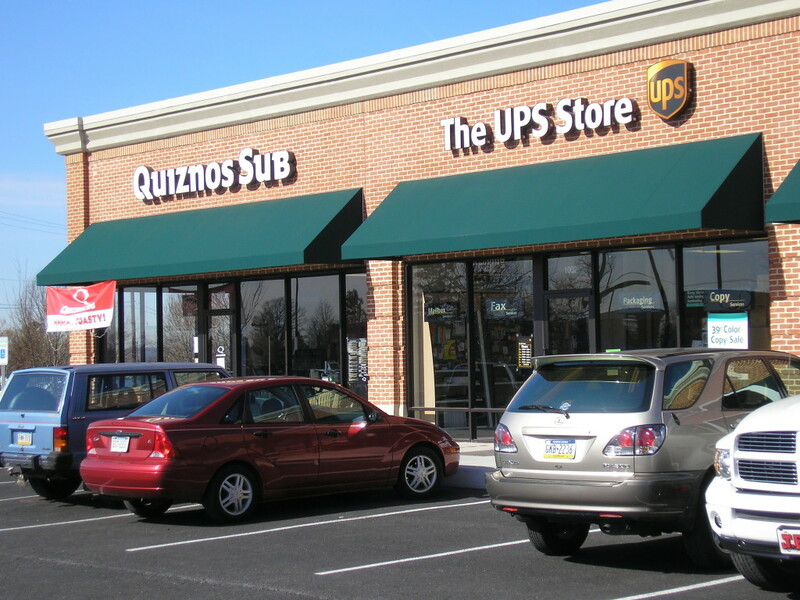 The lower valance section is backlit vinyl fabric and the lettering was eradicated allowing light to come through at night. 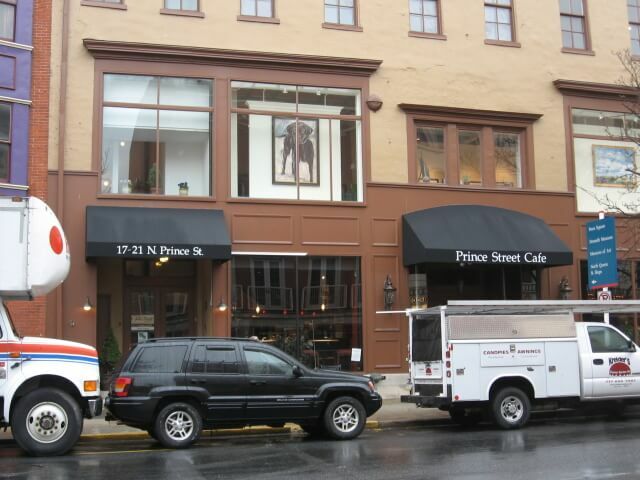 Click here to see the Prince Street Cafe awnings in Google Street View!